If Image Consultancy is glamorous then why was I without make up, late, dodging trucks in a loading bay somewhere at the back of John Lewis and frantically looking for a staff entrance at 6.00 on a Monday morning? Yes, you guessed it – the things I do in search of the perfect atmosphere for my distance learning DVDs! It all seemed to be going so well. With my history working as a Fashion Advisor in some of John Lewis’s biggest stores, and knowing their great range of brands, they were an obvious choice of location for my next module – Wardrobe Weeding and Personal Shopping. As an added bonus John Lewis, Welwyn had just re-developed the Women’s Fashion Department and installed a brand new Fashion Advisory suite. They were keen to promote it, so the planning and preparation went like a dream. I had visited the store a few days before the shoot with my first model, Sue. She is planning a trip of a lifetime to Canada and needed a holiday wardrobe so we met the John Lewis team, checked filming conditions and best of all – went shopping! We picked out a great selection of clothes – perfect for Sue’s holiday. This is a great time of the year for shopping – lots of fresh stock in, a great range of sizes and very tempting displays. On Monday morning, however, it didn’t turn out quite as planned. Having fought my way into the store I found Gavin, Alex and the Clearhead team standing in the changing room I had selected for filming looking bemused. As expected my clothes selections were carefully arranged and ready for use. As expected the spacious and airy room had been artfully arranged ready for filming. However what was not anticipated was that the room, and indeed the store, would be really quite dark – nobody had realised that it was only emergency lighting before 9.00! The clock was ticking – we had to be out by 8.30. Luckily the other smaller changing room did have a brighter light, so we rapidly bundled the clothes, the equipment, the camera team and poor Sue into it and began filming. Thank goodness for modern camera lenses – a few years ago we might have had to go home. Moving onto the shop floor was a strange experience – dim, calm and empty. The only sound to be heard was the odd Hoover and us – very weird. We managed to shoot some great footage demonstrating how easy it is to put together a capsule wardrobe using a few items that mix and match beautifully; basing your selection on 4 or 5 colours, a key skirt or jacket, 3 pairs of shoes plus a variety of tops and accessories. We created a flexible holiday wardrobe with garments that Sue will be able to wear at home as well. As we rushed out of the store 15 minutes past our time I wondered seriously whether I had the stamina to face another similar day tomorrow. Sue however was really cheerful; she’d had a really good time and she actually bought nearly £700 worth of clothes for her holiday. Tuesday morning was a dream. Well prepared for the harsh conditions of the previous day we actually finished filming ten minutes early. This may have been something to do with the slightly less challenging task – choosing an occasion outfit for Nerissa. Again, with so much lovely stock she was spoilt for choice and at one stage had enough outfits for a London Season. However, as always, there were lots of gorgeous dresses that looked great on the hanger but simply didn’t suit her – proving the value of a good personal shopping advisor! So did I get a rest afterwards? No – back to the studio for voice overs and editing. I’m looking forward to see how it all fits together, although after 5 hours filming I’m told we might get an hour’s worth of content. I’m delighted to say, however, it’s going to be very good content and I must extend a big thank you to everyone at John Lewis Welwyn who made it possible. 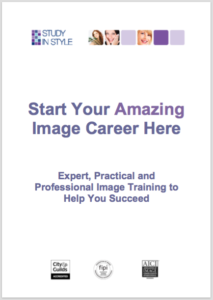 ← Image Training – why bother?